The Arch Collaborative was something of a revelation for me as a CIO. In the healthcare provider environment, there are innumerable priorities competing for attention and investment. In my role, it often feels a bit like gambling as I try to work out what steps to take to improve clinician satisfaction. We’ve all experienced an “enthusiastic” staff member that doesn’t hesitate to make his or her views on improvement known. But does he or she represent the whole clinical user base? Beyond that, how can I know which areas we are succeeding in? 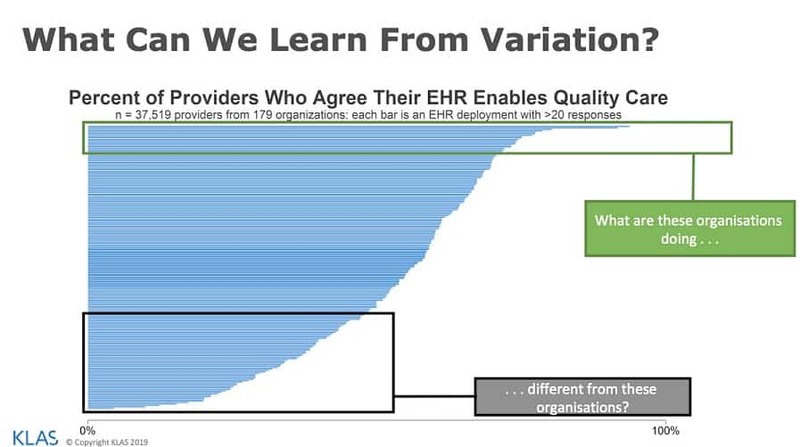 And could other organizations teach me a thing or two about EHR satisfaction? Historically, CIOs and CMIOs have had to fly blindly on EHR deployment and satisfaction with no data on how money or effort should be spent. I work with life-critical systems, so this lack of a scientific approach to the EHR has always played on my mind. Hence, when KLAS introduced me to the Arch Collaborative, it instantly made sense — I wouldn’t be flying blindly anymore. The ultimate goal of the Arch Collaborative is to take an evidence-based approach to clinician satisfaction. It has taken anecdotal stories of physician dissatisfaction and given them objectivity. Insights from more than 80,000 clinician respondents are helping organizations find real solutions to a difficult challenge: physician and clinician frustration with the EHR. Thankfully, the story of EHR satisfaction doesn’t revolve around any single EHR; the Collaborative has proven that all major systems can have a satisfied user base. Additionally, it turns out that the majority of variables affecting EHR satisfaction fall under the healthcare provider’s control. We have also discovered that, when implemented, several low- or no-cost practices can significantly improve satisfaction. For many organizations, improvement doesn’t have to be a costly or high-effort exercise. In reality, if you haven’t benchmarked yourself against other, similar organizations, you really don’t know whether you have maximized your investment of millions of pounds, euros or dollars into your EHR. Beyond that, you don’t truly know whether you have optimized the clinicians’ experience with your EHR. The Arch Collaborative helped me use my organization’s resources in a targeted manner. In my case, that meant education for physicians practicing over 25 years, personalization for all physicians, and specific, tailored education for nurses. Within the Arch Collaborative, KLAS has now spent two years benchmarking satisfaction data; recently, a number of organizations have measured for a second time after applying the lessons from those providers with the most successful users. Every health system that has remeasured has seen an improvement in physician and clinician satisfaction. Those that have seen significant improvement, such as OrthoVirginia, are sharing their stories of EHR mastery with other Collaborative members. 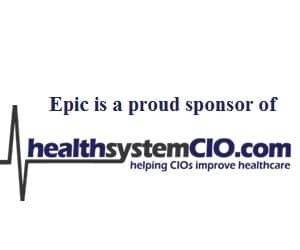 Having taken the Arch Collaborative journey as a CIO, I have seen how powerful and important successful EHR users are to organizations. I have also seen the global potential for improving EHR usage and ultimately improving the professional lives of doctors, nurses and other clinicians. I have now joined the KLAS team as the Arch Collaborative Global Lead; the opportunity to be part of something this important and impactful does not happen often! Working with global healthcare organizations, I am helping to make the dream of EHR value and satisfaction — based on real evidence — a reality. On a personal level, it gives me huge satisfaction to know that I am part of an initiative that is improving healthcare worldwide. 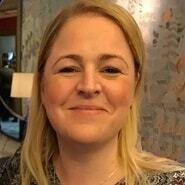 A critical voice in global healthcare IT issues, Rachel Dunscombe is CEO of NHS Digital Academy, and is the Global Lead for KLAS’ Arch Collaborative. Most recently, she was CIO at Salford Royal Group in the U.K., where she still serves as Strategic Digital Advisor. To follow her on Twitter, click here. How Will The UK Measure Interoperability?